Staying Organized, Part 6 - Magnets! There was a discussion on the Facebook Chorister's group about magnets! Kind of crazy the topics that come up, but it was a GREAT discussion on magnets! If you missed it, do a quick search for "magnets" on the group! 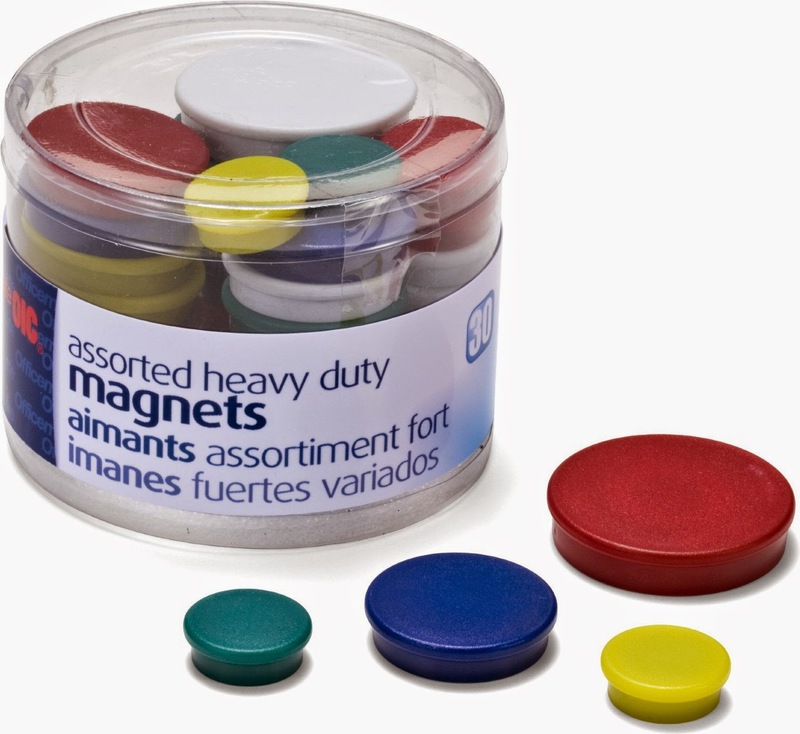 Anyway, I wanted to share my two bits about my favorite magnets, how I use and store mine. First of all, I prefer magnets over tape. Less hassle and they can be reused, moved as much as you like, and they are much easier for the kids to maneuver. The ones I have pictured above, I actually do NOT love. They aren't the heavy duty kind. They work for holding single sheets of paper but if I have something to hang that's in a plastic cover sheet or that has been laminated, they don't hold well. I store mine in my church bag as these are my own (they serve a dual purpose for me as I have a HUGE magnet board in my house - it's pictured below in case you were curious - haha). But you may want to ask the primary if they would be interested in purchasing magnets to be used by the primary that will stay in the closet. So there you have it...my opinion on magnets :). I'm new at this - Primary Chorister - but I've already found something I love - magnetic tape! Walmart for $3.97 - in the craft section. It's in a tape dispenser and has at least 25 ft. Easy for "slapping up" visuals and not fumbling with magnets. I use about 3 inches for an 81/2" X 11" visual.